Two tone in color, the front taper and belly section is Heron Gray intermediate, and the ﬂ oating back taper is Transparent Blue. 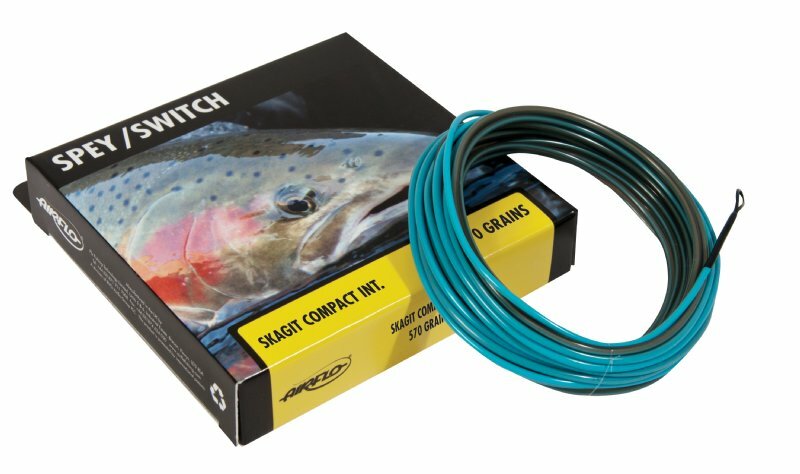 Great Lakes anglers identiﬁed the need for a line that would cast and ﬁsh like our Skagit Compact, but would avoid all the surface hydraulics caused by corrugated bottom structures. While in development and testing the Skagit Intermediate Compact opened our eyes to a whole new level of ﬂy presentation. No longer do you have to put up with tumultuous surface currents pulling at the ﬂoating portion of your Skagit system. The Skagit Intermediate gets you below the surface and into more even, mid-strata ﬂows, allowing for a smoother more direct ﬂy presentation.